Munster Logistics are leading transportation and logistical solutions experts based in Raheen Business Park, Limerick. Established in 2010 by Darren McKiniry and Shane O’Neill, the business has grown to employ 44 staff and currently has a fleet of 35 vehicles covering the entire country. While Munster Logistics is still a relatively new company, its owners have 50 years’ combined experience in the road transport industry. By providing a first class, reliable and cost-effective logistical service tailored to the needs of its clients, Munster Logistics has built up an enviable reputation within the sector. The company provides a wide range of services, from the transportation of dry and ambient foods, dry stock and drinks to newspaper distribution, freight forwarding and warehousing. Munster Logistics operates from three different locations within Raheen Business Park. 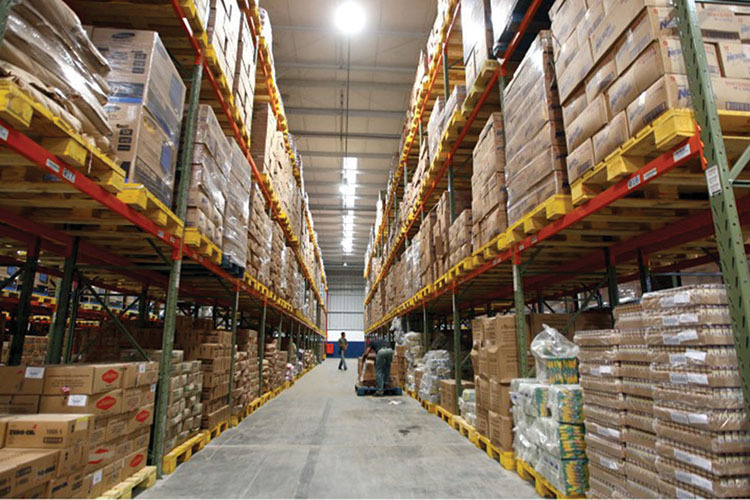 Its main hub comprises 30,000 sq ft of warehousing and 40,000 sq ft of a yard, while the other depots comprise 25,000 sq ft and 15,000 sq ft of warehousing respectively. The smallest of the depots is dedicated to newspaper distribution. Every night, between 1,500 and 2,000 consignments leave the warehouses, which are protected by security gates, fencing and on-site security. Munster Logistics’ large nationwide network offers businesses or individuals high-quality, secure, low-cost deliveries which will always reach their destination in the shortest possible time. Every package is scanned from dispatch to delivery point, while a state-of-the-art tracking system is updated in real time, giving you up-to-minute reports of your order. Whether its delivering one-off parcels, part consignments or large shipments, Munster Logistics can always be relied on. “We’re extremely busy at the moment,” Darren McKiniry explains. “Every time we take on a new contract, we say we’re not taking on anymore, but we always do. It’s a good complaint that customers are coming to us. We must be doing something right! “But seriously, it’s a very competitive business to be in, so you have to be on your toes all of the time. We operate on a 24/7 basis and Shane and I are here 16 / 17 hours a day. There’s a lot of hard work involved. Running costs and overheads are increasing every year, but rates per consignment don’t go up as often. It’s no coincidence that Munster Logistics has experienced a dramatic increase in business since becoming service partners for DSV and PRL for Munster at the latter end of 2015. DSV is a global supplier of transport and logistics services which is divided into three divisions – DSV Road, DSV Air & Sea and DSV Solutions. DSV Road offers both groupage and full loads as well as more specialised services, including temperature-controlled transportation. DSV also specialises in the transportation of all types of cargo by air and sea as well as logistic solutions such as warehousing and distribution, packing, freight management, customs clearance, e-commence and e-business support. Building successful and sustainable partnerships for over 80 years, PRL’s focus on authentic partnership with its customers has made it the market leader in the go-to-market brand experience. PRL champions brands through world-class, innovative services and sustainable solutions designed to help its customers improve productivity and reduce costs throughout their supply-chains, creating value for all. Working in partnership with flagship brands across a variety of sectors, including food and drink, pharmaceuticals, electronics, industrial and healthcare, PRL provides end-to-end solutions encompassing freight, logistics, warehousing, in-market sales, technical services, market research and insights, and recruitment services. Its network of strategic locations across Ireland and the UK means there is no quicker way to connect your brand to the marketplace. 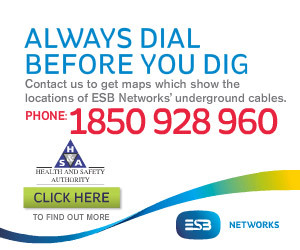 “DSV is bigger than any pallet network company in Ireland and we’re delighted to look after their distribution in Munster. We’re also delighted to be main distributors of dried, ambient and chilled foods for PRL in Munster,” Darren says. Munster Logistics has also recently become a service partner for Bunzl Irish Merchants (BIM), which is a leading supplier of non-food consumable products into the retail, food service and healthcare sectors. Long standing clients include Boyne Valley Foods, Pulse Logistics, Fine Wines Group, Richmond Marketing, Walker’s Crisps, Newspread Distribution, Dunnes Stores, Moran Freight, Keogh Crisps and Uniphar. In addition, Munster Logistics works in partnership with a number of European freight forwarding companies, providing a vital link in the chain. Darren is fulsome in his praise of his staff which consists of drivers, warehouse staff, administration / office personnel and mechanics. “We’re very proud of the fact that we have a minimum turnover of staff. Good drivers, in particular, are hard to come by and we have some of the best working for us. It would have been impossible to achieve the success we’ve had to date without having good staff,” he adds. The company runs a modern fleet of Mercedes vans, rigids and tractor units, and recently took delivery of two new Mercedes Sprinters from Truckcar Sales Ltd in Patrickswell. Servicing and repairs is carried out inhouse and by Truckcar Sales and its sister company Croom Park Truck & Trailer. Downtime is not an option for this busy logistics firm. Munster Logistics is ideally located beside the N7 and M20 motorways, and the national primary routes of the N18 and N21.